Battersea Dog and Cat Home announced recently that for the first time ever, it had rehomed more cats than dogs, thanks in part to Internet cat celebrities (like Grumpy Cat) encouraging people to look for feline friends. This story made me smile as my personal motto is “stray over pay any day”! 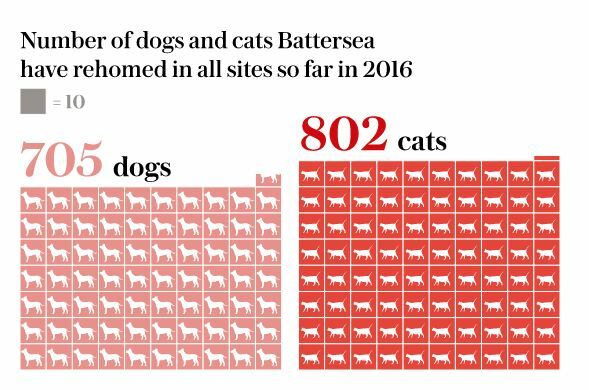 The number of cats rehomed by Battersea since 1 January 2016 is 802, while 705 dogs have been rehoused with loving families over the same period of time. Animal welfare workers at Battersea have said that the growth in cat rehoming could well be due to the rising popularity of cats on the internet thanks to viral cat videos, and online cat memes and gifs, amongst other things. Since it opened in 1860, Battersea has rescued over 3 million dogs and cats. However, the shelter still has around 220 cats across its three centres at any one time that are all looking for their forever home. So, if you like me are a cat person, be sure to drop into Battersea or any cat shelter near your own house to see if your kitty companion is there just waiting to meet you. A recent ‘Cat Takeover’ campaign aimed to raise awareness of the fact Battersea rehomes cats as well as dogs, helping boost interest in the centre’s moggies, but really I think it’s the fact kitties are the cat’s whiskers – a sentiment shared by a lady in the USA by the name of Lynea Lattanzio, who turned her 4,000 square foot California home into a cat sanctuary – which has so far saved nearly 30,000 kitties and homes around 1,000 felines at any one time.